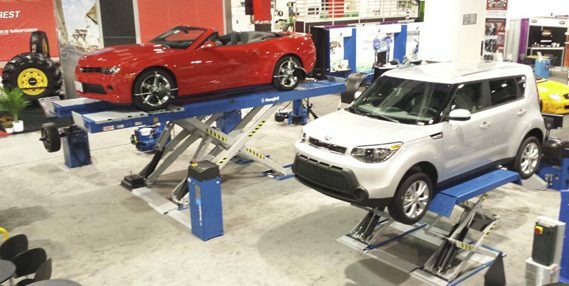 The recent SEMA Show in Las Vegas saw over 400 visitors registering at the RAV booth, to view our comprehensive range of ETL-ALI certified lifts (the well known scissor and double scissor lifts but also the new 2 post 15000 lbs and the inground 10000 lbs. ), the new 2014 range of wheel balancers, along some best sellers in North America such as the TD2200 and the Vistar 3D, the 8080T truck aligner (with the new software now being released in production!) and our car and truck tire changers. We thank all our visitors, with a special acknowledgement to those RAV partners who helped us before, during and after the show. See you at NADA in San Francisco next January!